Have you ever come home, opened your fridge and wondered what to have for dinner with the few ingredients you have available? Have you ever come back home and ordered some take away since what you had really wasn’t so promising? These scenarios seem to become more and more common these days and are part of an increasingly unhealthy diet of many of us. However, often we actually have food at home and do not prepare dinner because we think that the ingredients in our fridge are just not sufficient. However, you might be surprised to learn how simple it can be to prepare dinner and that not every dish has to compose of a wealth of ingredients. Some great dishes actually have really simple and only a few ingredients. Also, this may inspire you to always have certain ingredients at home, so that you can easily prepare a dinner when you need it. Thus, I will give some recipe suggestions that might inspire you to use up what is in your fridge and not pick up the phone to get a take away delivered. There are of course many more and you might want to investigate what great dishes you can prepare with the food you already have at home. Cook your spaghetti or other pasta as normal. Fry a few pieces of bacon in oil. 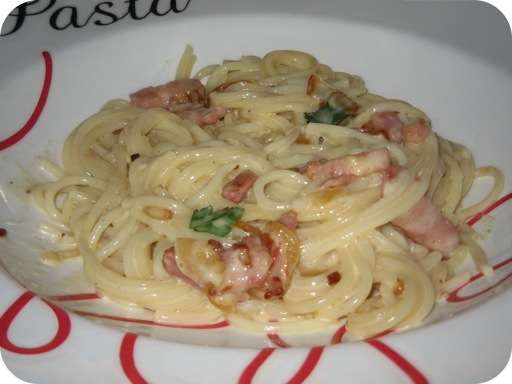 Mix the bacon and a few raw eggs to the warm pasta. The eggs will cook when you add them to the pasta. Spice it up with some black pepper and enjoy! Salads are great for the evening. Just take some fresh leaves and you can add virtually anything. Blocks of cheddar, pieces of meat, vegetables, any seafood cooked or fried, nuts and many more. For the dressing, you can use the classic: olive oil with or without vinegar. You can also make a vinaigrette with mustard which gives your salad a nice touch. 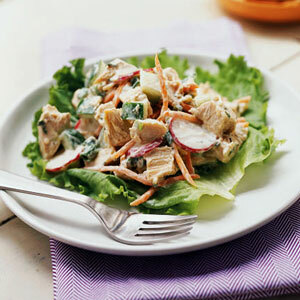 Take some pieces of chicken breast from the fridge or freezer and fry them. If you have fresh chicken, you can actually just salt it a little and do not even need extra fat to fry, which makes it healthier. Cook your rice on the stove or in a rice cooker and … bingo, a very easy and healthy dinner! Turkey breast is another easily prepared meat. You can buy it frozen or fresh. It tastes very nice if you marinate it beforehand in lemon and soy sauce with garlic. 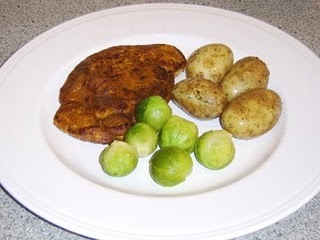 You can serve it with potatoes and a vegetable of your choice. Both are prepared very easily, too. 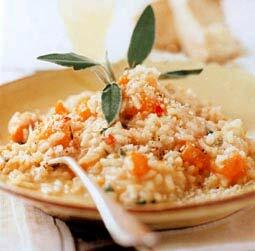 Risotto is a very simple dish to prepare. You can have it with virtually any flavour and add many different ingredients of your choice. If you have some fresh or frozen seafood at home, just briefly fry it in olive oil with onions and garlic. Add some spices and water and then add the risotto rice and cook it altogether. It will only take about 20-25 minutes all in all, depending on the risotto rice. These are just a few examples of how you can turn a dull evening into a feast. Cooking is fun and you will be surprised what great food you can prepare very easily with only a few ingredients. If you have questions of what food you can prepare with what you have in your fridge, just send us your comments and we will happily make some suggestions.